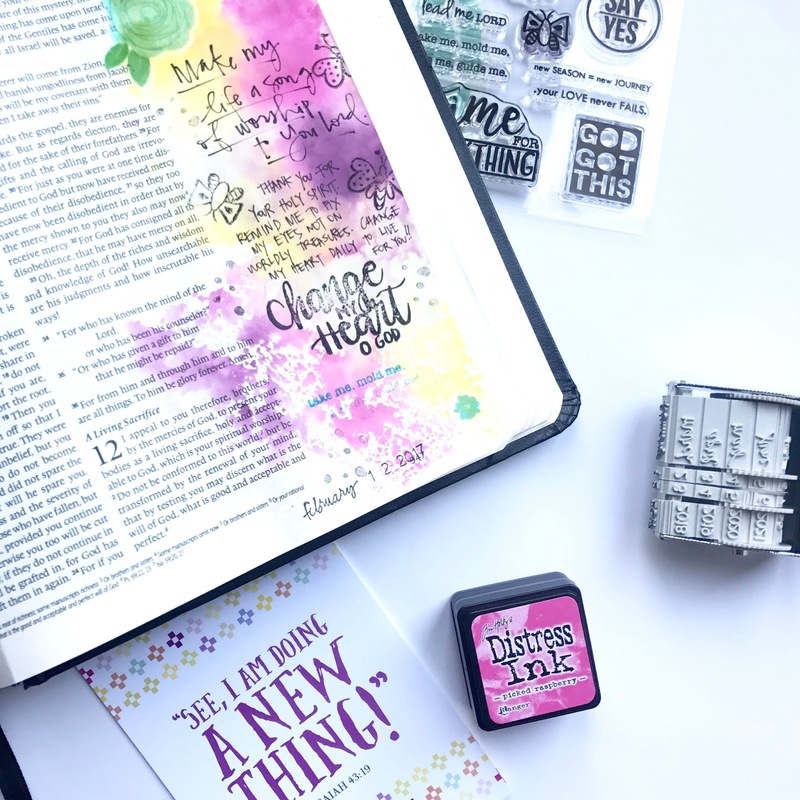 Hello lovelies - it's Tara here today and I'm so thrilled to be working with the February GraceBox this month in my journaling bible. Sundays are almost always days we spend going to church, but this past Sunday we ended up home and watched a sermon online. I was so inspired by the verses in this sermon, Romans 12: 1-2 and how deep two simple verses from the bible can speak into my heart. The stamps this month worked perfectly. I was reminded of how butterflies don't start off beautiful - but change into the creatures they are after waiting patiently. I want to be transformed and remember to pray daily for the Holy Spirit's help and guidance. Isn't that little heart clip from Illustrated Faith so cute?? 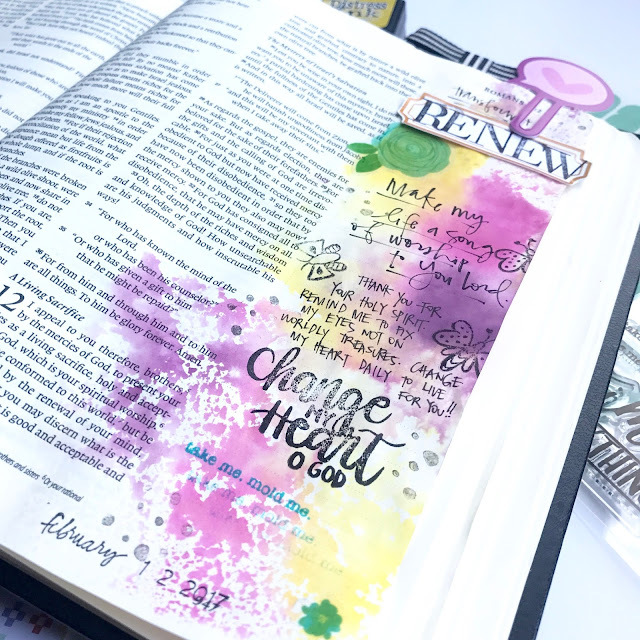 I used the Citrus Twist Alpha stamp on a cut out label to add "RENEW". 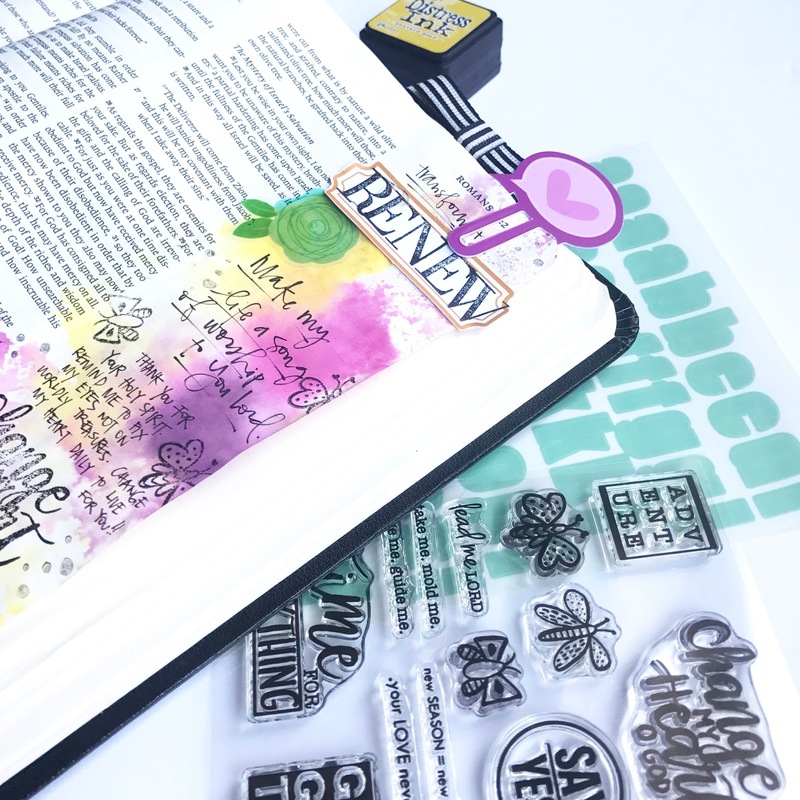 I love the flower stickers in the kit too and they added a pop of color to my journaling. I used a couple Tim Holtz distress ink pads on packaging with some water to create the background. I also added a few things on my heart, a little prayer as well, and used my roller date stamp. I wrote in the dotted background stamp from the GraceBox v6 stamp (sold out). I hope you enjoyed a little peek into my journaling bible today and how God is working in me. Have a wonderful day!